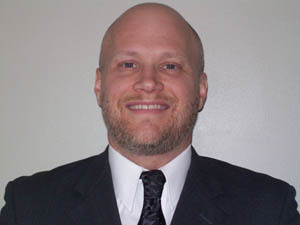 Dr. Carl S. Hale is a clinical neuropsychologist, licensed clinical psychologist, and health service provider in psychology who was educated at Indiana University and the Adler School of Professional Psychology in Chicago. His interest in learning and cognition began when he was an undergraduate research assistant for Dr. Margaret Intons-Peterson at Indiana University. His participation in research on state dependent learning and dual encoding theory lead to an interest in improving memory and learning, especially in children. His doctoral dissertation investigated the cognitive traits of creative individuals. Dr. Hale has been in private practice for 15 years. His passion is working with "tweens" who have learning, attention, listening, and other cognitive challenges, especially ADHD, learning disabilities, and autism spectrum disorders. During his post-doctoral training in neuropsychology, he studied under Dr. Jacobus Donders, a former student of Dr. Byron Rourke, a prominent researcher on learning disabilities in children. Dr. Donders was also instrumental in the development of the WISC-IV, a widely utilized intelligence measure for children. Dr. Hale has published in professional journals, including articles on creativity, temporal perception, and stages of adult development. He served on the editorial review boards of the Journal for Specialists in Group Work and the Journal of Adult Development & Aging. He was an ad hoc reviewer for Rehabilitation Psychology and an associate professor of psychology at Indiana University Northwest. Dr. Hale has developed several programs for children, including Mnemonic Detective, a memory enhancement program, and Meta-Cognitive Tool Boxes, non-verbal "tools" to help children develop meta-cognitive skills in math, reading, and writing. These programs were designed for children with ADHD, learning disabilities, and autism spectrum disorders. Although Dr. Hale also treats adults with cognitive challenges, his focus is on finding new and better ways to help children reach their God-given potential. He has been a consultant to a local school cooperative, as well as two charter schools in Northwest Indiana through the Ball State University Virtual Education Cooperative. He was also the director of a learning center for children that he co-founded. Dr. Hale has been blessed with a wonderful daughter, Evelyn Alicia, who is currently a college student in Denver, Colorado. Because he is a follower of Jesus Christ, his practice is first and foremost his ministry in the communities he serves. He is contemporary psalmist who has self-published two books of psalms. He worships at Christian Fellowship Church in Hammond, where he serves as an elder. In addition to working with children in his practice, he has been called to serve children in other countries, especially Africa, along with his daughter Evelyn. He enjoys distance running, playing blues guitar, and fossil hunting. He is a Gary South Shore Rail Cats fan who likes to lounge at the ball park during the summer months. Dr. Hale is a professional member of the National Academy of Neuropsychology (NAN) Coalition of Clinical Practitioners in Neuropsychology, and the International Dyslexia Foundation.